The Ngorongoro Conservation Area covers 8,000 square kilometers (5,000 square miles) although it is not a national park. As an independently administered conservation area it protects the environment and the Maasai community’s right of settlement is acknowledged. Since 1978 the Ngorongoro Conservation Area has been a UNESCO World Heritage Site, and in 1981 it became an International Biosphere Reserve. The Conservation Area is home to different ecosystems which include rainforests, mountain grasslands, and vast plains bordering the Serengeti, as well as the famous Ngorongoro Crater (which has an area of two hundred and sixty-five square kilometers – 164 square miles), the Crater Highlands northeast of the Crater itself (with the Olmoti volcano and the Empakai caldera). The Ngorongoro Plains to the northwest of the Ngorongoro Crater are an integral part of the Serengeti ecosystem and play a key role in the Great Migration, especially between December and April. The Ngorongoro Crater is unique and unparalleled in the world. It is what remains of an ancient volcanic cone, whose peak collapsed about two and a half million years ago, creating the current caldera: a truncated cone containing a large “pan” with a diameter of 16/20 km (9/12 miles) with raised edges reaching about 600 metres (2000 feet) over the ground. 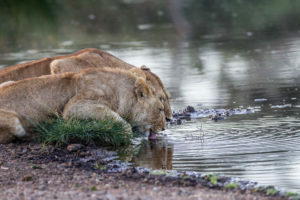 This basin has developed into savannah inhabited by more than twenty-five thousand big game and every species typical of the region, with the exception of the giraffe(which does not find food here) is represented in the Ngorongoro Crater. The crater rim reaches an altitude of two thousand three hundred metres and has breath-taking views. The outer slopes are covered with dense primary forest. The Ngorongoro Crater is a true paradise although some aspects mean we cannot consider it the best of the safaris Tanzania has to offer. Its orography (a small plain protected by steep walls) means a safari is not particularly exciting as the animals are all right there and the feel for the quest is lost. More tourist pressure is felt here as vehicles are all concentrated in a limited area, while the vastness of the Serengeti means visitors tend to disperse. For these reasons and since the entire crater floor can be explored in six hours, we suggest spending no more than one day there.